Father Nature Landscapes of Birmingham, Inc.
We are a landscape design-build & consulting firm that seeks to redefine the way you experience outdoor living. We are a landscape design-build & consulting firm that seeks to redefine the way you experience outdoor living. Whatever the scope of your project, great landscapes begin with a great design. At Father Nature, we begin by meeting with you one-on-one to understand your vision for your landscape. Aside from our horticultural knowledge, our experienced designers can recommend lighting, irrigation, hardscapes and water features as needed to give you the atmosphere you’ve always wanted. We are outfitted to consult and construct on both private residential and public nature park project scales. What you’ll love most about us is what comes after the consultation: attention to detail and quality, competitive prices and customer service. Father Nature Landscape offers a one-year warranty on every installation, and some of our products carry a lifetime manufacturer’s warranty (a list of our product manufacturers is available upon request). We are a boutique Landscape Architecture firm that specializes in high-end residential design. At David N. Brush Landscape Architecture we create elegant outdoor spaces that reflect our client’s personalities and lifestyles. Each project is a customized, living piece of art. From the sweeping estate to the intimate courtyard, our process is collaborative and thorough and our designs are thoughtful and inspired. At DNBLA we believe there is an inherent beauty in everything-whether it is a song, a poem, a person, a sunset. Our approach is to seek, capture and reflect this beauty in thoughtful, timeless and livable environments. Our designs are informed by history yet relevant in the present. Each is customized to cater to our clients’ wishes with personal, professional, and thorough attention. A boutique company tradition allows us to give each project the attention it deserves, focusing on details and craftsmanship, injecting spirit and life into our designs. We work as a team with clients, architects, interior designers, contractors and artisans to see projects through to fruition. We strive to create seamless, harmonious transitions between the indoors and out, and imprint our hallmarks of understated elegance and sublime beauty. He did it! In 2009 Charlie took a deep breath and jumped, making a mid-career leap into Charlie Thigpen’s Garden Gallery, a flower shop that is more than a garden center or art gallery. It is the brick and mortar incarnation of a longtime dream, one borne of life experience as well as life’s passion. Located in downtown Birmingham, Alabama, the Garden Gallery provides an oasis for those looking to stroll through the courtyard and listen to the birds on a lunch break, or a vital resource for those planning their next gardening or landscaping design project. It's a place to find the perfect gift for gardeners and art lovers. With the help of his wife Cindy, Charlie and the crew are working on their 5th year of carefully growing their business in Birmingham and forming valuable relationships with all of their customers. We look forwarding to helping you with your next landscaping project or custom arrangement! J Loper & Co. Inc. is a Landscape Architectural design-build company specializing in residential landscape projects. It has been our privilege to create many landscapes in the Birmingham area thanks to hundreds of wonderful Clients. Some projects are modest, some large, but all are unique, elegant, creative and add to the enjoyment of our Client's homes. We strive to make our projects fun, functional, low maintenance, durable, elegant and to meet your unique needs. Please don't hesitate to give me a call should you have any questions or to schedule an appointment. John Russell Landscape Architect is a small residential landscape design-build service located in Birmingham, Alabama.We provide customized, professional Alabama landscaping design and construction services. Our Birmingham landscaping unique approach of site design at the client's house, single project construction, and unquestioned, unparalleled post construction service make us the company of highest integrity and quality available. We help our clients' property reach its full potential. You can trust us with your next Alabama landscaping project. Based in the heart of Homewood’s historic downtown, Lorberbaum Odrezin & Associates is committed to providing a high quality design for our clients that enhance quality of life, strengthen sense of place and implement sustainable solutions that minimize our impact on the environment. Golightly Landscape Architecture provides professional design services to residential and commercial clients. Our mission is to provide a comprehensive, site-specific design that is beautiful, sustainable, and practical. Environmental Design Studio, Inc. is a landscape architecture and land planning firm. 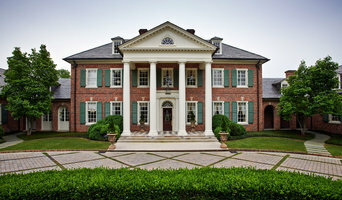 We are based in Birmingham, Alabama but have performed projects as far west as New Mexico and as far North as Indiana. We love what we do and hope you will as well. "Creating beautiful places" Over 30 years of experience! 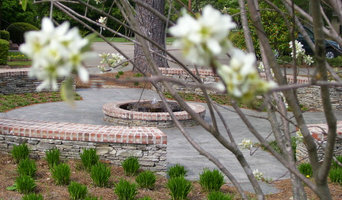 In business since 1994 and am a registered Landscape Architect in Alabama. Full service Landscape Architecture service from design to completion. Land Planning and Development, Landscaping, Irrigation and Lighting. Stephen is truly knowledged in the industry- whether it be pricing, products, plants, or design, Stephen knows his material. After his apprenticeship in 1984, Stephen noticed a need for attention to landscape and landscape design. Since then his love for nature has only grown. His education and training in landscaping have brought out his strong points of site design and an eye for creativity and landscape design. Stephen's love for nature and plants are shown through his designs and the quality of work you will receive. Stephen will always be there for his clients, whether it be 6 months or 10 years down the line. The vision he has for your home shine through. Stephen truly loves seeing the progression of his work through the growth of the plants and seeing his clients enjoy his work. Hand Landscaping offers quality service, landscape design, and maintenance with over 26 years of experience. Holding several beautification awards, Hand Landscaping prides itself on being a reputable and upstanding business providing valuable service to Birmingham and surrounding areas. Landscaping, irrigation, sod, seed, pine straw, pine mulch, landscape lighting, brick paver, keystone retaining walls, hydro seeding, erosion control/drainage systems, and maintenance are just a fraction of the services that Hand Landscaping offers. With Alabama licenses in Department of Agriculture & Industries, as well as being a Professional Landscaper & Nursery Dealer, and a member of the Better Business Bureau (BBB), and Holding certifications in brick paver/retaining walls, Hand Landscaping is guaranteed to do the job right. Green Landscaping and Maintenance is a fully licensed, insured, and bonded company, where we pride ourselves in offering the highest quality landscape installation and maintenance for residential and commercial properties. Our professional approach to each job with a focus on attention to detail will ensure your complete satisfaction. Our customers are truly viewed as our partners, so that we may provide an exceptional level of customer service. Curtis Schrand is a registered landscape architect with over 25 years of landscape architectural and project management experience. He has been registered to practice landscape architecture since 1996 and is an active member of the American Society of Landscape Architects. He received the Horizon Award for Best New Landscape on Highway 280 Corridor-Greystone Neuroscience Center. The work of this outdoor professional includes most everything surrounding a home's exterior. A landscaping architect can even work with the home architect to choose the right spot for your Trussville, AL house. From there the Trussville landscaper will develop preliminary concepts for your front or backyard design based on individual needs including the climate and activities that will take place, as well as layouts and planting plans. Landscape architects will also design any structures or outbuildings that will be added to the space. Any grading changes that will be added to the yard are also the responsibility of the architect. This includes any drainage modifications. An engineer can also be responsible for these tasks, but licensed Alabama landscapers are fully capable. Like building architects, they will produce preliminary concept drawings as well as detailed construction documents and planting plans. Three-dimensional renderings and illustrative plans are all supplementary. A Trussville landscaping designer generally will have ecological, aesthetic and technical training, which helps them maximize the potential of your outdoor space. Keeping in mind both style and functionality, garden designers analyze your architecture and yard to produce a plan that may or may not include location and materials for walkways, patios, water features, fences, garden aspects and more. In addition, a landscaper in Trussville, AL will carefully assess your geographic region to choose plants, trees and flowers that will flourish naturally, as well as address concerns such as drainage, screening and soil conditions. Certain landscape designers only help with the planning portion, while some may deliver the plans and then oversee a hired landscaping contractor. Others — typically following a design-build approach — take care of both the design and all aspects of the landscape architecture and construction. Before you hire an Alabama professional landscaper, consider the scope and emphasis of your outdoor project. Landscape architects, who typically hold advanced degrees in their field, are trained to develop comprehensive structural plans that include plants, hardscaping, water use, drainage and more. Landscape designers typically specialize in the aesthetic and horticultural, rather than structural, side of yard and garden planning. They might or might not have advanced training. Even within their fields, a garden designer may specialize in hardscape- or vegetation-focused designs. In some cases you might need to hire additional help to get the outdoor space you want. Here are some related professionals and vendors to complement the work of landscape architects & landscape designers: Landscape Contractors, Garden & Landscape Supplies, Tree Services, Gardeners, Lawn Care & Sprinklers, Decks, Patios & Outdoor Enclosures. Find a Trussville landscape architect on Houzz. 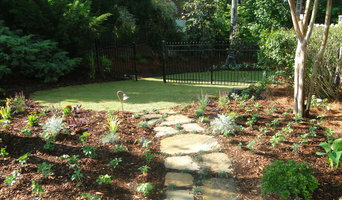 Narrow your search in the Professionals section of the website to Trussville, AL landscape architects and designers. You can also look through Trussville, AL photos to find a space you like, then contact the professional who posted the photo.